Hanoi shopping is something you should not miss out when visiting this beautiful city. 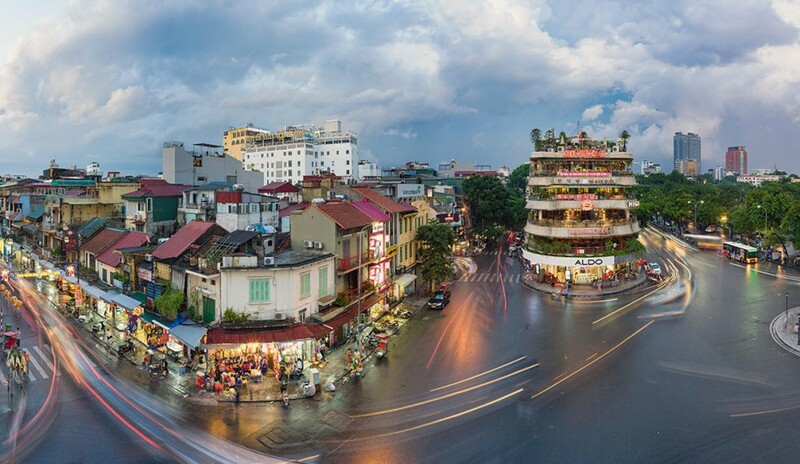 According to the annual rankings of Smart Travel Asia Magazine – a popular travel magazine with huge amount of subscribers, Hanoi ranked 6th among top 13 most attractive shopping cities voted by readers. Smart Travel Asia Magazine claims that in Hanoi, you can find everything in Asia, from the most expensive to the cheapest thing. Together with 1st rank on the list of cheapest cities in the world by the famous TripAdvisor website, there’s no exaggeration to say that Asia, and especially Hanoi, is a paradise for shopaholics and cheap shopping. 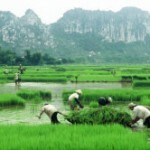 Hanoi shopping is well-known for silk products, embroidered products, silver jewellery and handicraft. 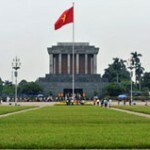 Here is the list of four best places in the city center for Hanoi shopping. If you are going on a Hanoi shopping tour and trying to find silk and embroidered products, don’t miss out Hang Gai street in the Old Quarter. 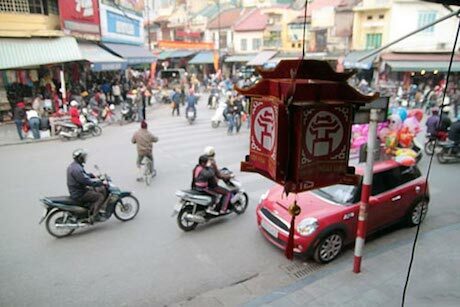 The street is also called “silk road” because most of the shops here sell silk clothes, silk bags, sleep bags, ties, scarfs and other accessories from real silk made in Vietnam. You can have it as a gift from $8 to $20, depending on styles & kinds of products you want. AVOID Van Phuc silk village because it’s now not a village where you can find out the life of silk. 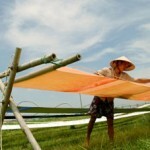 Van Phuc now gathers a chain of silk shops which usually sells the silk material from China. You even can buy cheaper silk in Hang Gai street. You can find lots of decorations, accessories and other stuffs along Hoan Kiem Lake and in the area of St. Joseph’s Cathedral. Most of them are handmade. 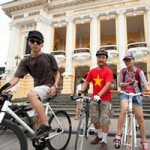 Hanoi also has a lot of galleries displaying oil paintings, silk paintings, water-colour paintings and lacquer paintings. For Hanoi shopping of silver jewellery, you can visit Hang Bac and Hang Dau St. Better bargain for a good price. You can buy rings, earrings or bracelets from $8 and necklaces from $12. Dong Xuan night market might be the most famous Hanoi shopping stop that you should visit one time. This unique night market, which is often referred as the busiest market in town, is normally held from 18:00 to 23:00 every weekend on a 3km of walking street area in the Old Quarter. The stalls of the street vendors stretch from Hang Dao to Dong Xuan market, creating a colourful and bustling atmosphere. Hanoi shopping paradise: Hanoi old quarter is a collection of buying and selling streets. On each street, you will find many shops selling the same products, making the name of that street. The night market is a busy trading place with the participation of nearly 4000 stalls. There are tons of goods being sold at night market. The goods are very diverse, ranging from clothing, footwear, household appliances to souvenir and handicraft items… all at affordable prices. You should take a walk from Hang Ngang, Hang Duong, Luong Van Can, Hang Ma, Hang Bo etc. to see various street vendor stalls to choose what you like. On Saturday evening weekly, the local people often have traditional music performance such as Quan Ho, Ca Tru, Hat Xam, Hat Cheo etc. This is considered a unique trait of the night market, which attracts lots of foreign visitors to Hanoi shopping. Most of tourists coming to Hanoi would love to try shopping in Dong Xuan night market at least one time, join the bustling crowd, take some great shots there, and enjoy the street food. Some even love to have a portrait of themselves done by the street artists, and buy some colourful gifts for their friends and family. Many souvenirs sold at the night market not only have cheap prices, but also have good quality in comparison with others sold in another place.